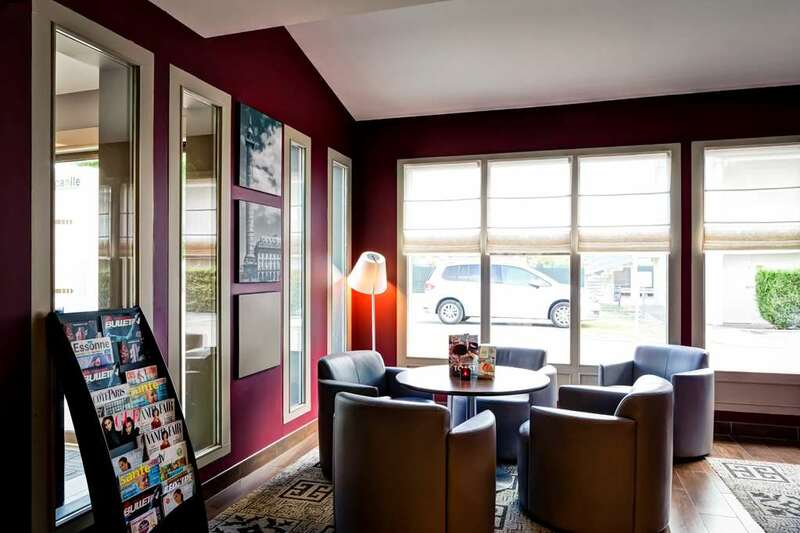 Perfectly situated at the crossroads of the A6 motorway and the N104, 30 km from Paris, the 3-star Campanile Corbeil Essonnes Evry Ouest Hotel Restaurant benefits from an exclusive location for business or tourist trips. 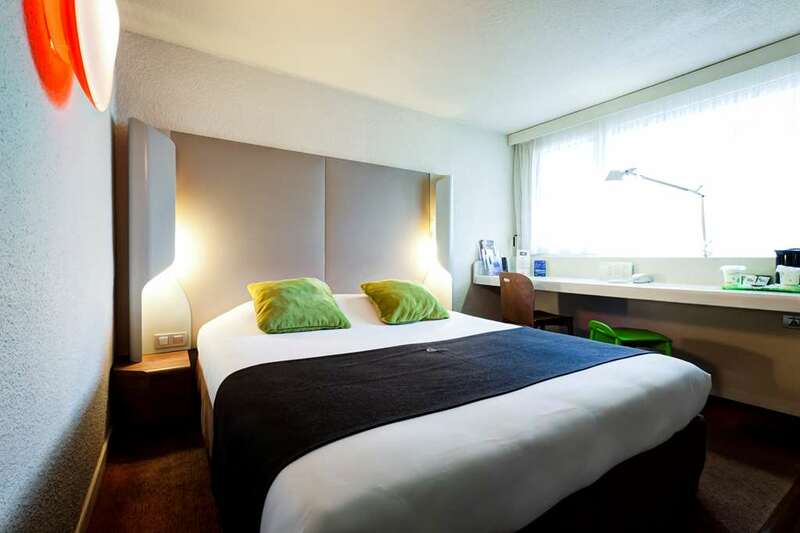 Situated 2 km from the centre of Evry, 800 metres from the headquarters of Snecma S.A., 1 km from the AFM conference centre, the Campanile Corbeil Essonnes Evry Ouest Hotel is easily accessible from the N104 and by various public transport resources, including: the RER D and buses 405 and 402. 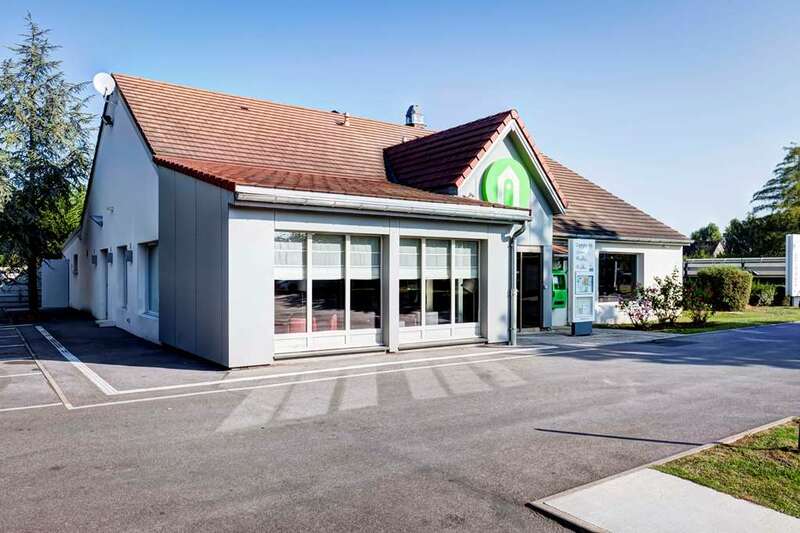 It is situated 3 km by car from the service sector business parks and industrial areas of Evry, Lisses, Courcouronnes and Bondoufle. 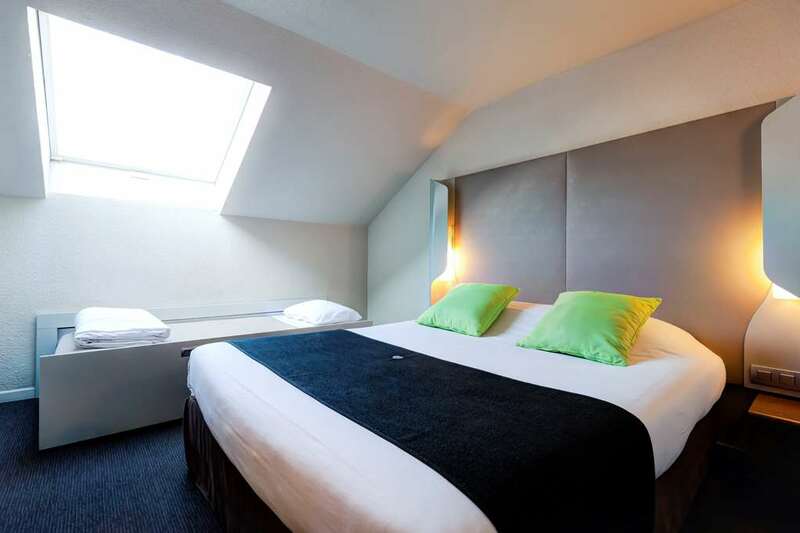 During your stay, make sure that you visit Evry cathedral, the Moulin de Dannemois, the former residence of Claude François, and the animation and jazz festivals at Corbeil Essonnes. 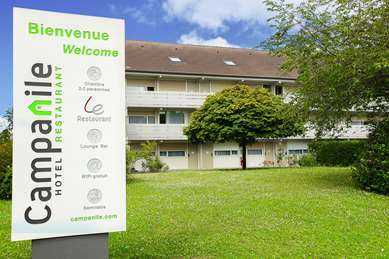 Make the most of the richness of the region of Essone by exploring its “Gardens and Châteaux of Paris” (Gardens and Castles around Paris) route: le Château de Courances, the Residence of Chamarande, le Château de Courson, le Château du Marais, the Residence of Saint Jean de Beauregard, Jeurre and its factories, and Gatinais Regional Nature Park. 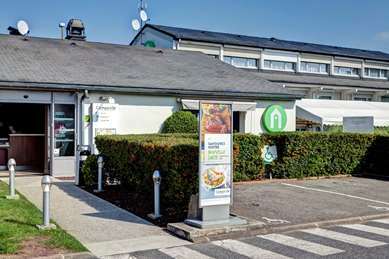 Also situated 5 km from several sports and leisure complexes: the Robert Bodin de Bondoufle sports stadium, the Mennecy Olympic swimming pool, the Ferté Alais aerodrome and the regional leisure centre at Port aux Cerises de Draveil. 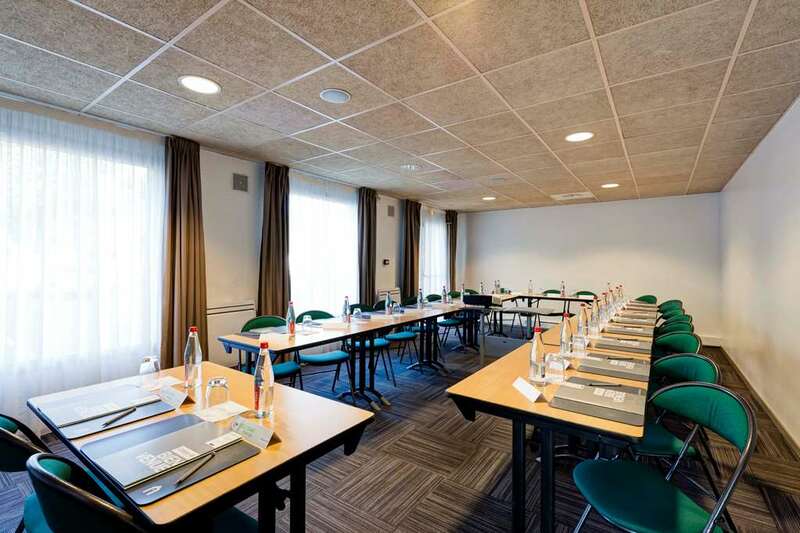 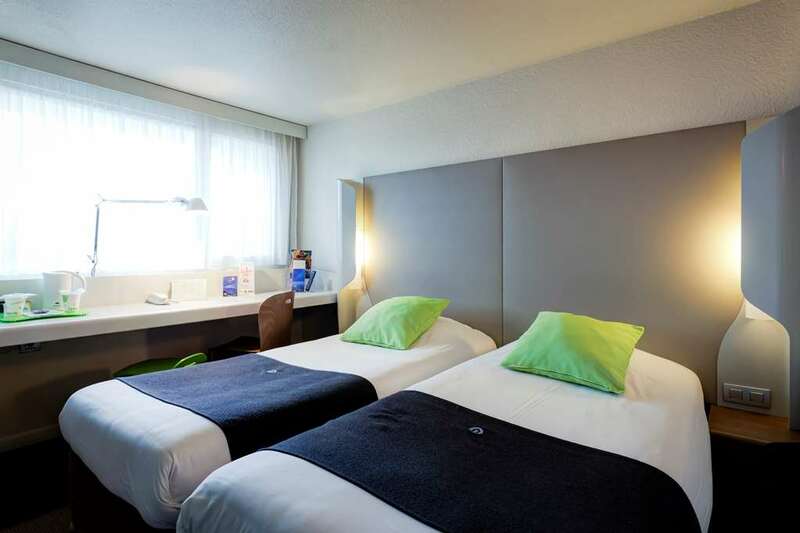 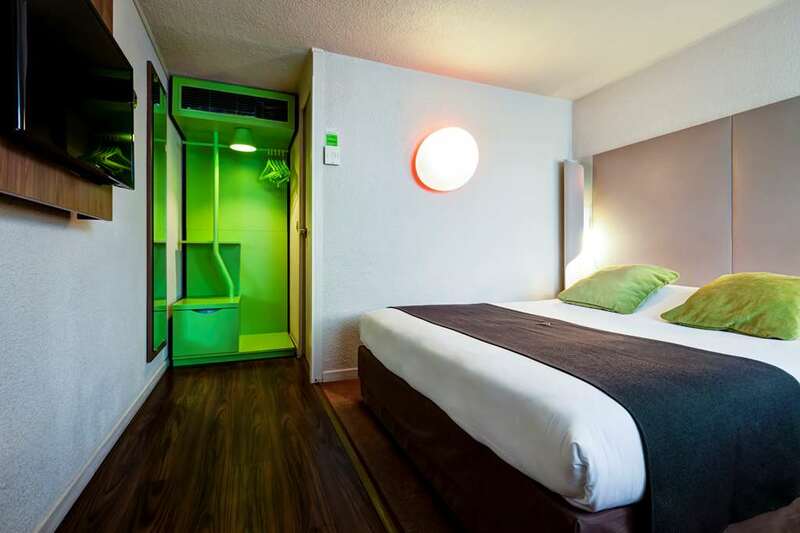 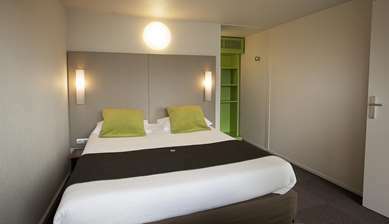 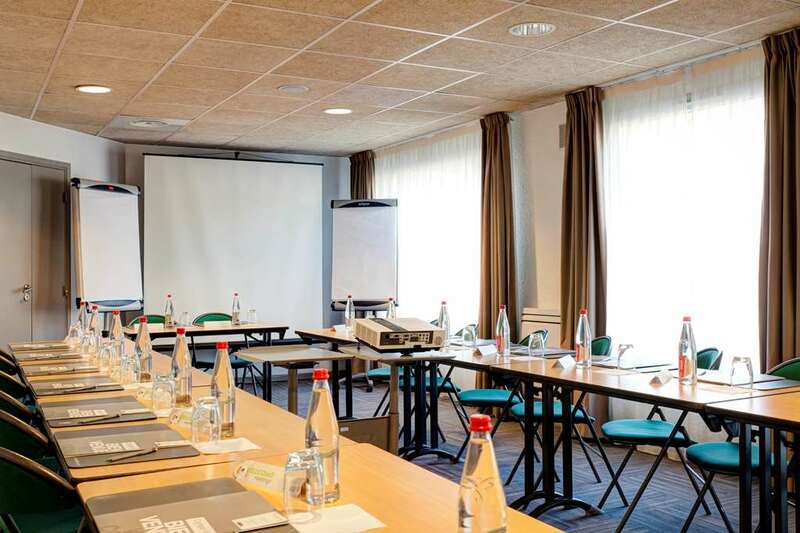 Having been fully renovated, the new generation Campanile Hotel Corbeil Essonnes Evry Ouest has 80 comfortable and fully equipped rooms available. Free and secure parking is available. 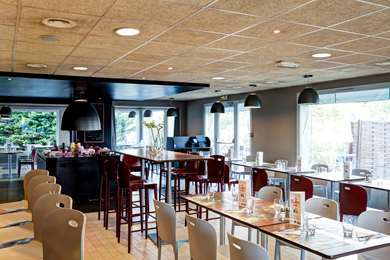 The hotel’s restaurant can accommodate 78 people with a 44-seater terrace. Starters and desserts are available from an unlimited buffet and the menu was designed by top chef Pierre Gagnaire. 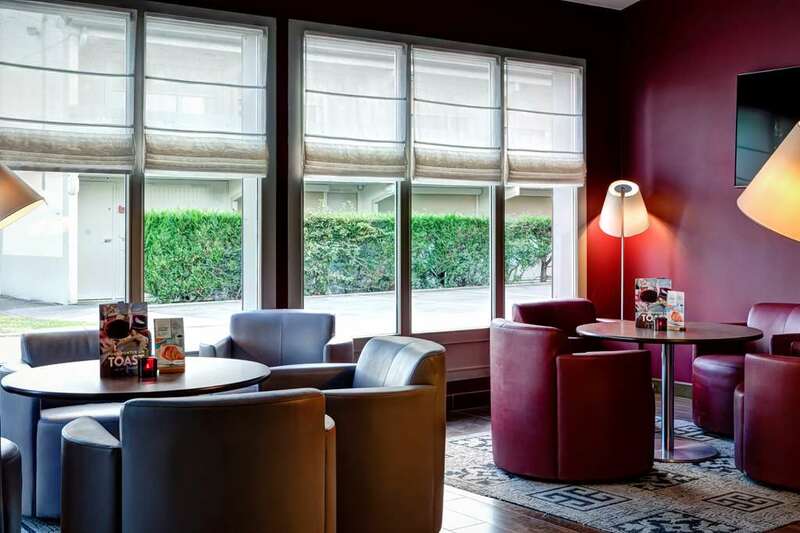 You can use the hotel’s bar and lounge area to enjoy yourself whilst having a drink with friends or colleagues. Our 55 m² meeting room can accommodate up to 45 people. 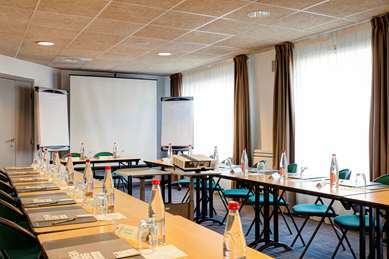 It is flooded by daylight and is equipped with a video projector, flipcharts, LCD television and stationery. 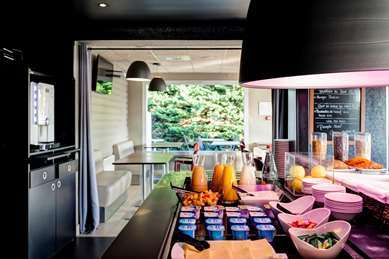 Enticing savoury and balanced snacks are on offer to keep your energy levels up. We can accommodate up to 80 in our restaurant for business lunches. 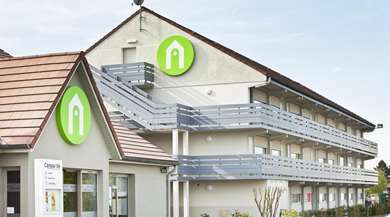 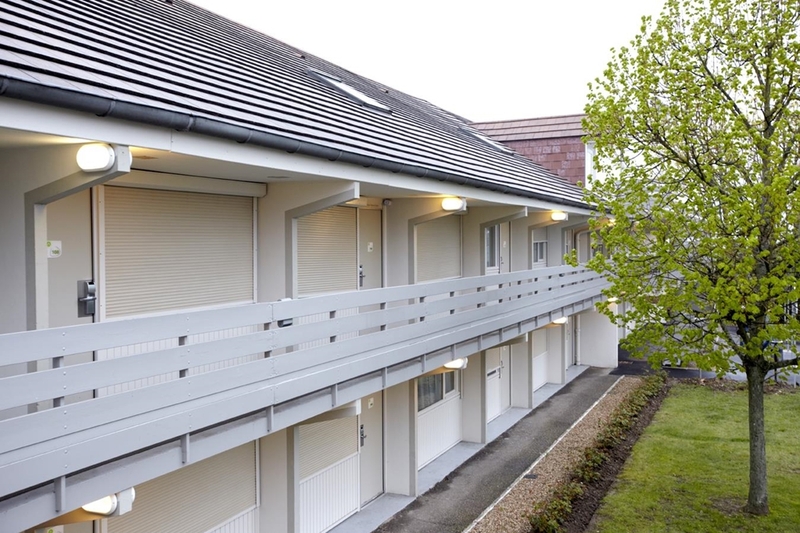 For your maximum comfort, 50 double rooms, 23 twin rooms, 7 triple rooms (4 adjoining rooms with equipment for people with reduced mobility) are available. 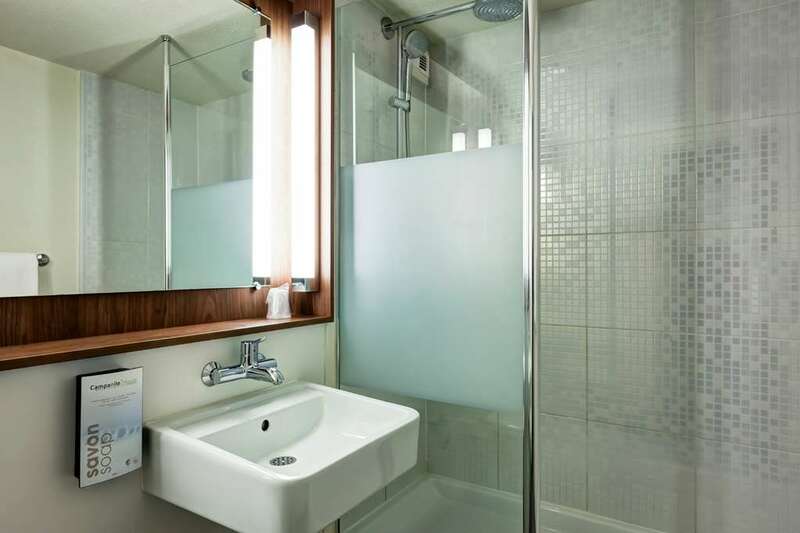 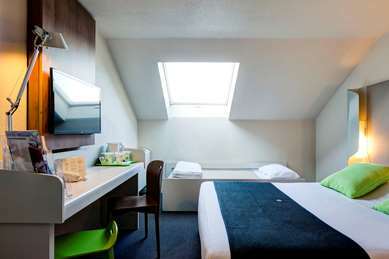 Each room is equipped with an LCD television with Canal+ and Canal satellite channels, a desk and free WIFI access. 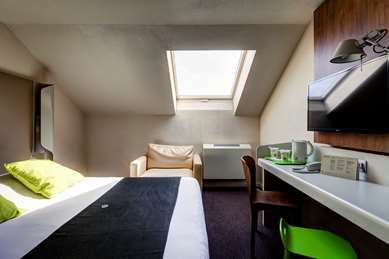 A courtesy tray with a kettle, tea, coffee and selection of cakes is available every day in your room. 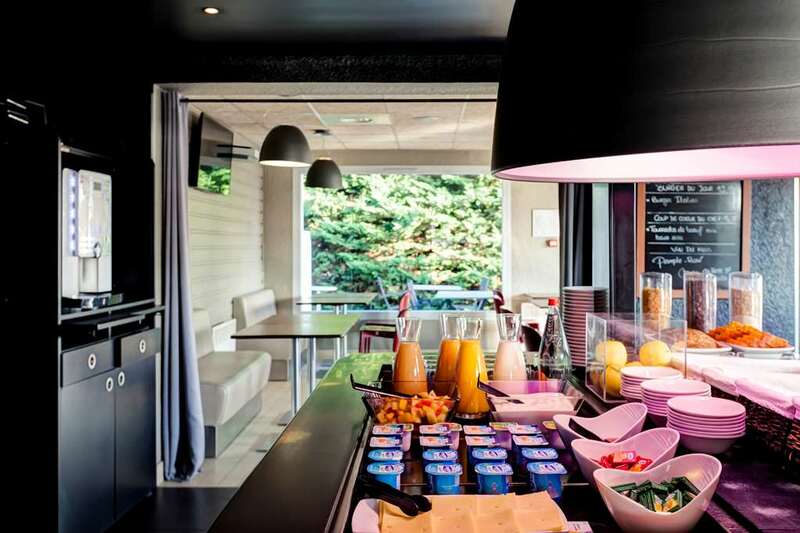 From 6:30 a.m. to 9:00 a.m., enjoy a balanced buffet breakfast: tea, coffee, fresh fruit juice, cereal, pastry, cheese, eggs, breakfast meat, yogurt and fruit salad. 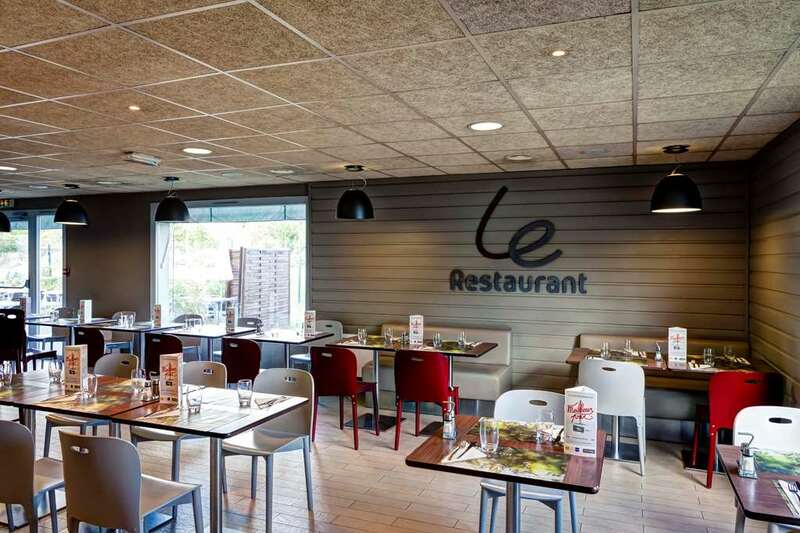 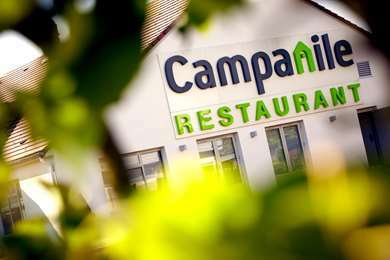 Campanile de Corbeil Essonnes– Evry offers regional, traditional, light or family-style cuisine.